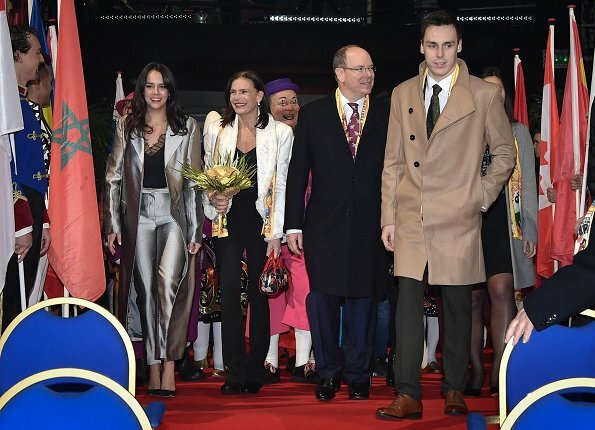 On January 18, 2018, Prince Albert II of Monaco, Princess Stephanie of Monaco, Pauline Ducruet and Louis Ducruet attended the 42nd International Circus Festival held at Chapiteau de Fontvieille in Monte-Carlo. 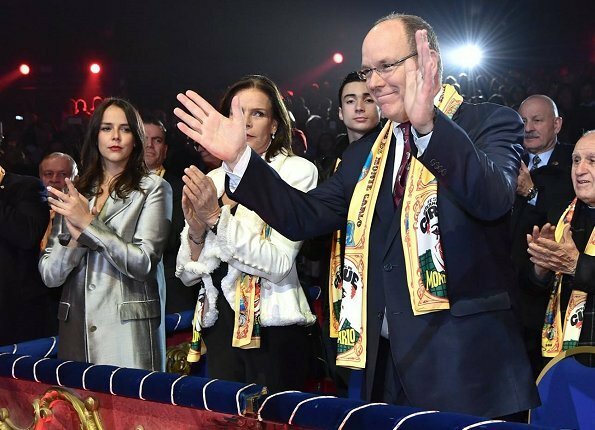 The festival includes the awarding of the Clown d'Or (Golden Clown) award as well as awards for other circus skills. 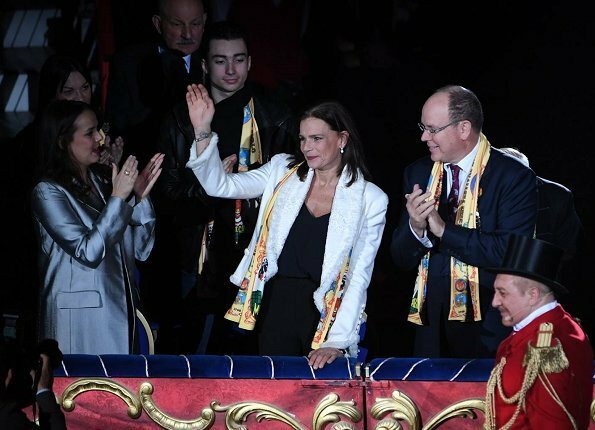 Princess Stéphanie is the President of the Monte-Carlo International Circus Festival. How nice to see Stephanie so happy and beautiful. Agree! She looks good and relaxed. Stephanie looks lovely - the black and white works, love the jacket and her hair is looking healthier and shinier than it has done for a while. 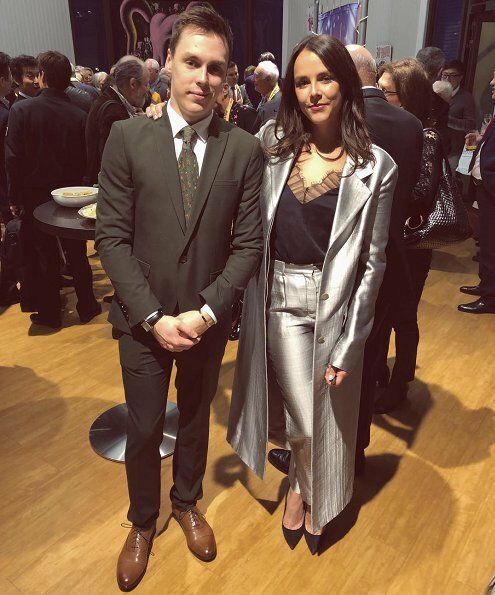 Pauline looks good - I like the silvery suit. Stephanie looks always so good and happy in these circus events. She must love circus very much. She does love circus! We all know that -;) But circus is not the whole life. And some parts - like the holding of wild animals are to be regarded as very critical - I would appreciate her - as she does not have to have any worries in life for herself or for her children to enggage in some more sustainable projects. Agree about the animals - and her recent interview about their use in the circus is utterly tone deaf to the latest scientific research on wild animals - and to most people's opinions. That said, let's not ignore her not inconsiderable, and admirable, work in the fight against AIDS. Pauline es muy bonita. 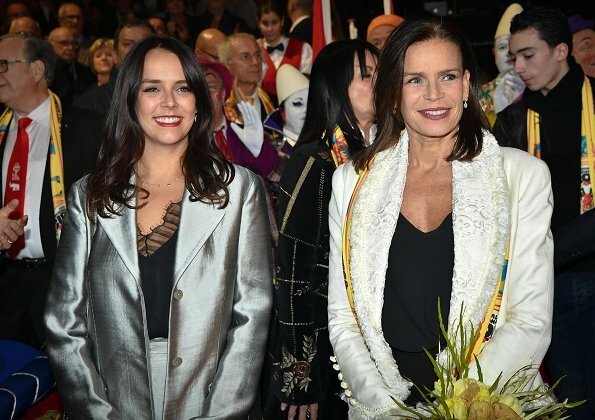 Se parece más a su tía Caroline que a su madre. Stephanie and Pauline - wow!